The SCG is carrying a heavy workload as Allianz Stadium gets rebuilt. Melbourne Victory coach Kevin Muscat has attacked A-League decision-makers for giving an "unsafe" SCG surface the green light on Saturday. The defending champions will be sweating on scans on Terry Antonis after the key attacker collapsed on the turf untouched in their Big Blue loss to Sydney FC. 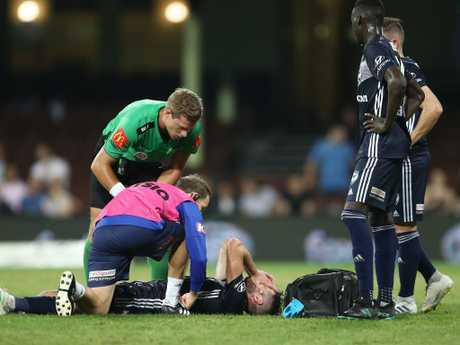 Muscat was unable to confirm whether the injury came a result of the pitch, however replays showed his leg appeared to give way on the edge of the square. Muscat refused to use the conditions as an excuse for his side's 2-1 defeat, and lauded both teams for putting on what was at time a quality contest. But that didn't stop him from launching a scathing tirade on the game's administrators for allowing the match to go ahead. "If nothing gets said, we're just accepting it as a code," Muscat said. "The result is one thing tonight. But to ask players to come and work under those conditions is unacceptable. "It might be a serious injury as a result from it. And for players to go out onto that, whatever it's called, is a disgrace. "It's part of the reason everyone else treats us with contempt. All the other codes treat us with contempt because we accept it ourselves." It is the second time in a month the ground has come under fire, having also been forced into emergency work ahead of a round-one NRL fixture in early March. It came just days after a NSW Waratahs rugby union game tore up the ground, resulting in 3000 square metres of turf being relaid. Terry Antonis went down without being touched. The A-League furore is the latest in a string of controversies across Sydney's sporting codes as Allianz Stadium undergoes a reconstruction. 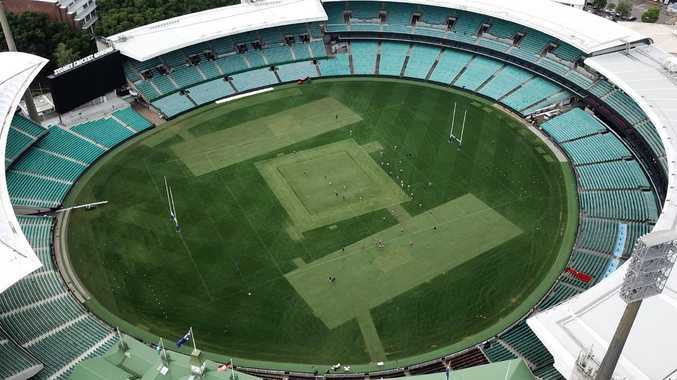 It has forced regular SCG tenants Sydney Swans to share the venue with Sydney FC, Sydney Roosters, and the Waratahs in a jam-packed schedule. Muscat said the track wasn't even conducive to a ball rolling, and is concerned the game would simply sweep the issue under a rug. "It was dangerous, first and foremost," he said. "I understand Sydney have had difficulties with venues because of the stadium across the road being not available. "(Whoever) went out and had a look at it, they should be here answering questions about how that was passed fit to play football. "I've never seen a surface where there's three different types of grass. In the middle it was ridiculously hard and unsafe as far as I'm concerned." Sydney FC coach Steve Corica insisted on holding a training session at the ground on Friday as it altered their approach due to the uneven surface. "It's never nice to see a player go down with an injury. 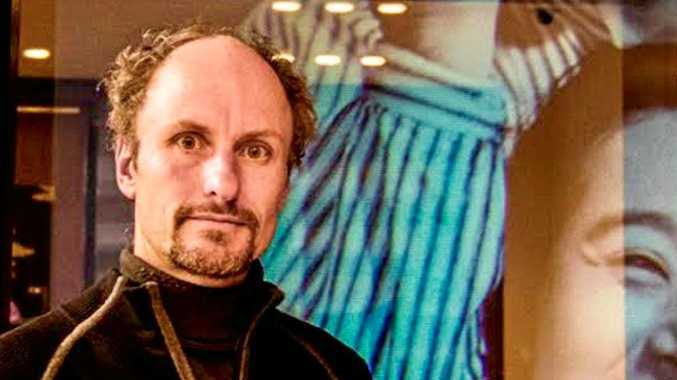 There was no one around him when he did it, and it was on the edge of the cricket pitch," Corica said. "It's unfortunate for Terry and I wish him all the best."